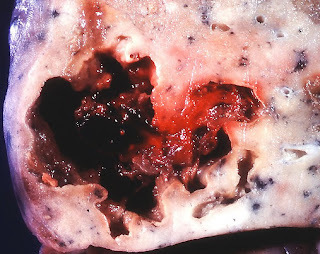 Abscesses can occur throughout many regions of the body, however, in this segment will be taking a look at lung abscesses specifically. Histologically – suppurative destruction of lung parenchyma within a central area of cavitation. Stay tuned for a look at the pathology of pneumonia later in the week.